Lake St. Louis MO Orthodontist Explains Why Your Gums Hurt When You Floss? Flossing is a key component of top-notch oral hygiene according to our 5-star Lake St. Louis MO orthodontist. Not only does it remove unsightly food and plaque from between your teeth in the short term, but it also prevents tooth decay and gum disease in the long run. If the benefits of flossing are so awesome, though, then why do you experience sore gums when doing so? Our orthodontist in Lake St. Louis has the answers! If a few weeks have passed and you find that your gums have not yet adjusted, it also may be that you are not flossing gently enough. You may think that the harder you scrape and prod, the more plaque will be removed. However, our orthodontist in Lake St. Louis MO assures you that regular, mild flossing is much more effective than aggressive spurts. If symptoms of sore gums persist, do not hesitate to call our orthodontic office in Lake St. Louis MO. Our Lake St. Louis orthodontist is happy to schedule a consultation and determine the root issue of your discomfort. For example, women may experience hormonal changes during pregnancy, menstruation, or menopause that can result in sore gums. Nicotine from smoking also often results in gum inflammation. 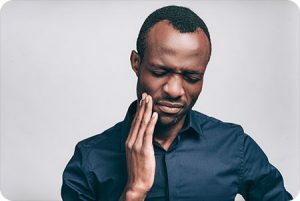 Lastly, sore gums can be a side effect of various medications and medical conditions, so be sure to contact our 5-star Lake St. Louis MO orthodontic office if you have a concern.